The operating companies of Precision Aerospace Products are category leaders within their respective industries. They also all share a distinctly similar directive and mission purpose: to bring their collective knowledge, relationships and solutions in supporting their customers. Many of Precision Aerospace Products companies provide invaluable resources and unmatched knowledge to legacy military and civilian products that may in fact be slowly fading in their use yet still vitally important in their need. Precision Aerospace Product companies are indispensable resources, keepers of tribal knowledge, parts resources and technical support. Equally important to all our company customers is the shared knowledge and experience all Precision Aerospace Products companies have accumulated and provide in the complex world of international business and its efficient execution. For over 60 years, Pacific Propeller International has provided unparalleled Depot Level propeller system repair and overhaul services to militaries, airline and operators around the world. Established in 1946, Pacific Propeller International provides global repair and overhaul services to regional airline aircraft, as well as many of the world’s military operators of large propeller aircraft. Propeller driven transport aircraft throughout the globe are also served by PPI’s respected engineers and technicians. PPI employs the most experienced propulsion professionals anywhere in the world. PPI customers rely and count on the decades of knowledge only experience provides. C&S Propeller is a global leader in the maintenance, repair and overhaul of the Hamilton Sunstrand 54H60 propeller system for nearly 50 years. C&S Propeller is a recognized FAA and EASA certified repair station and an industry category leader for the Hamilton Sunstrand 54H60 propeller system. As a single source provider for the complete overhaul/repair of the 54H60 propeller system, C&S Propeller guarantees the most reliable performance and the highest quality of workmanship. Skypac Parts & Supply sources parts and provides logistical services for worldwide customers of civilian and military assets. Skypac also provides teaming partnerships for global outsourcing and distribution of specialty targeted materials. Skypac facilitates industry and global governments as a single point of contact for sourcing materials and exports. Specializing in developing teaming partnerships, Skypac facilitates overseas business contracts, provides logistics and services, and finds solutions for worldwide asset needs. 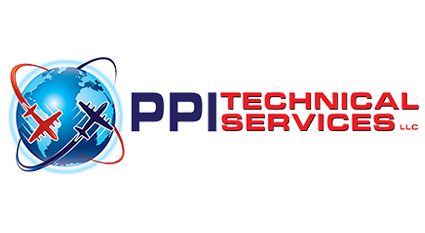 PPI Technical Services is a global partner for technical training, equipment resourcing and government contracting. Change paragraph: Drawing on nearly 60 years of manufacturing and technical success in the military and commercial markets, PPI Technical Services is your global partner for airframe and propulsion technical training, MRO equipment or specialty sourcing, as well as government contracting and foreign business consultation services. © 2019 Precision Aerospace Products. All rights reserved.